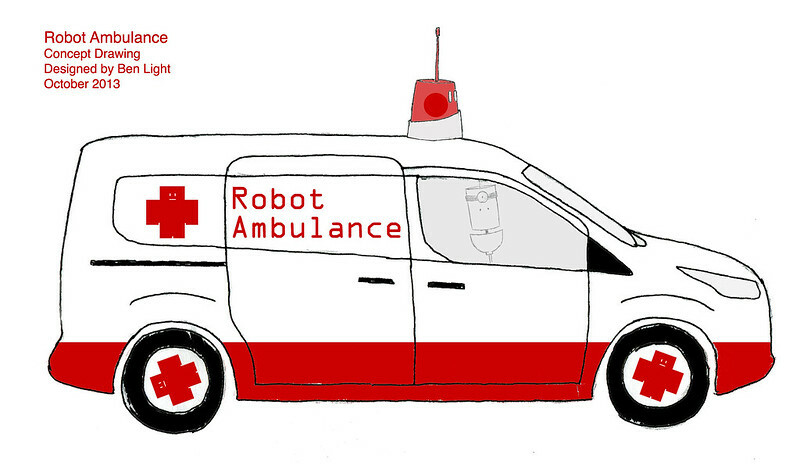 I’m very honored that my concept, Robot Ambulance, has been accepted into Make: Ultimate Maker Vehicle Challenge. 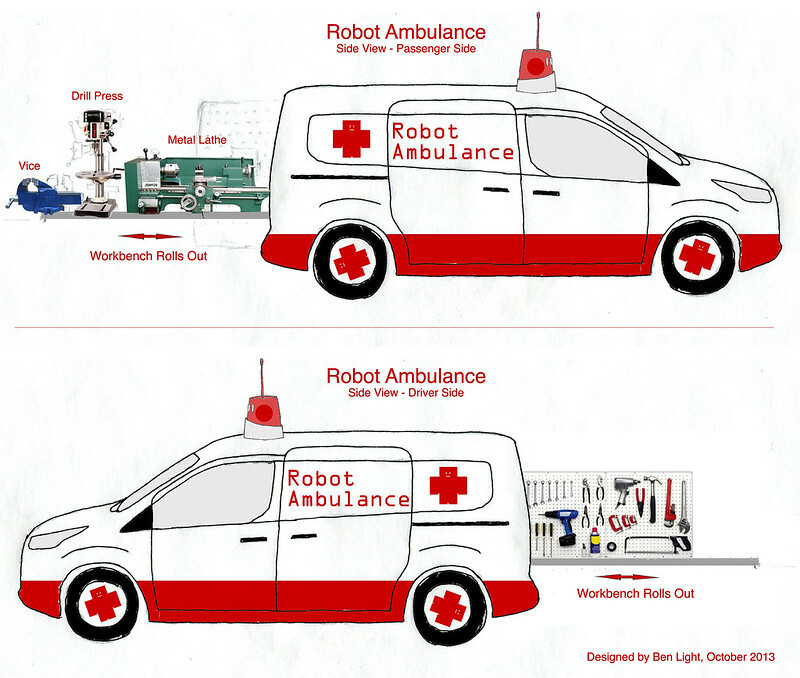 Robot Ambulance is a toy robot fabrication lab on wheels. The goal of the project is to drive to schools, Maker Faires, or birthday parties and get kids making. More project details here. Voting started today to decide the winners of the contest. Judging is based on overall Design, unique Customizations, and Maker Spirit embedded within. Vote for as few or as many entries once per day as you wish. Thanks to Matt Richardson for the video help and Michelle Temple for the photographs. 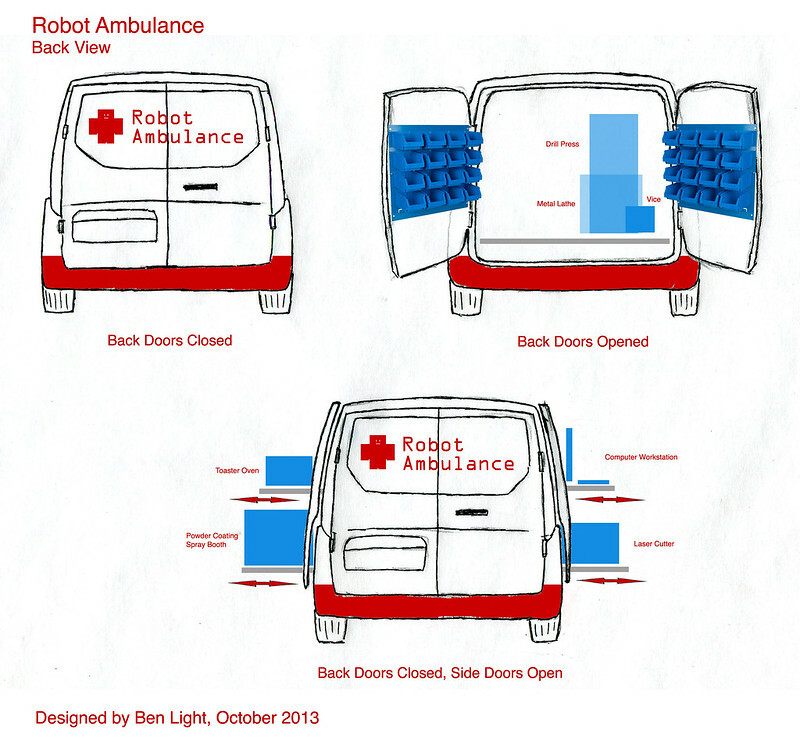 This entry was posted on Monday, November 18th, 2013 at 7:07 pm	and is filed under Design Competitions, Uncategorized. You can follow any responses to this entry through the RSS 2.0 feed. Responses are currently closed, but you can trackback from your own site.